Jerri-Lynn here. 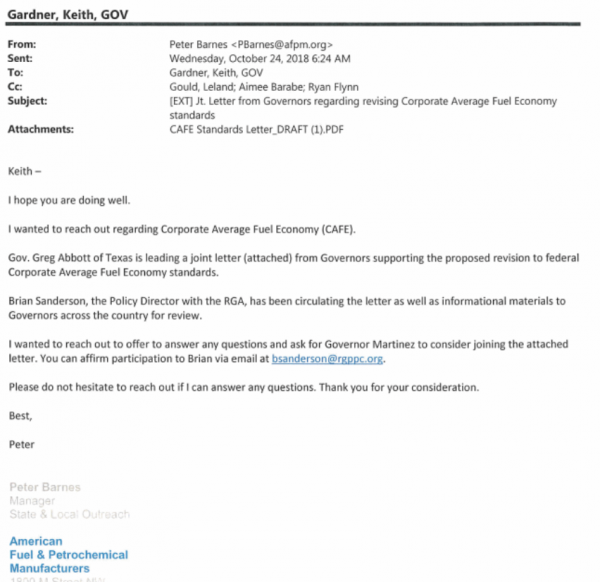 This piece documents how closely business interests groups – in this case, oil refiners – worked to rollback fuel economy emissions standards, by flooding the Department of Transportation with identical public comments as the agency considered the proposed rule change, and soliciting Republican governors to front for their propaganda campaign. Just business as usual in he public policy sausage factory, you might say. 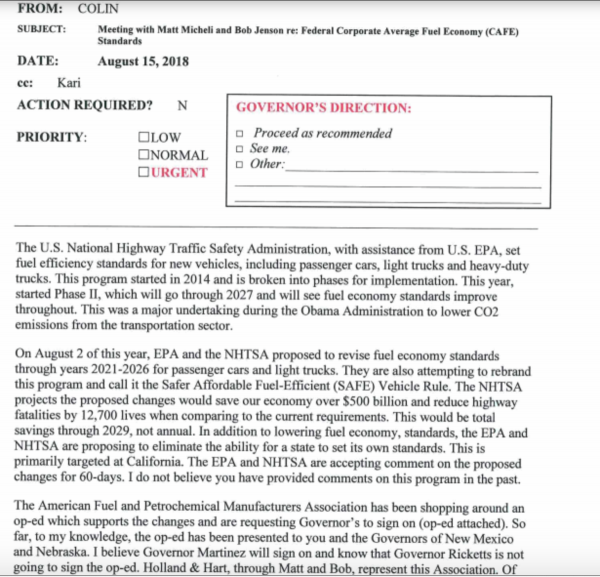 Email messages show AFPM representatives reaching out to the staff of Republican governors, soliciting signatures for a formal letter that was eventually submitted to the Department of Transportation and the Environmental Protection Agency (EPA). 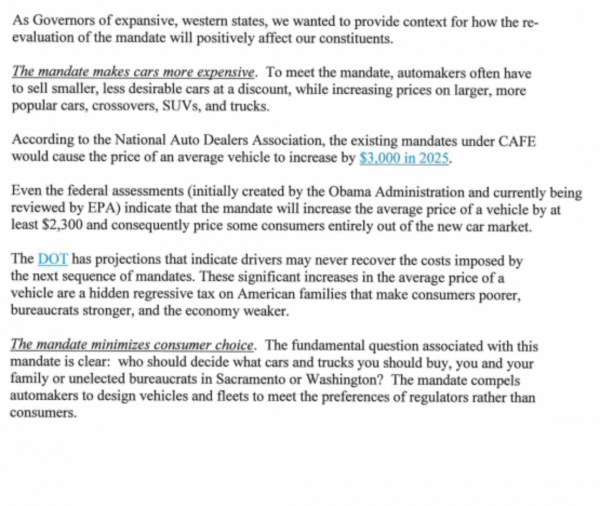 In another email, AFPM’s Senior Vice President of Federal and Regulatory Affairs shared a pre-written draft of an op-ed with the Wyoming Governor’s office, asking if Governor Matt Mead would consider putting his name on it. 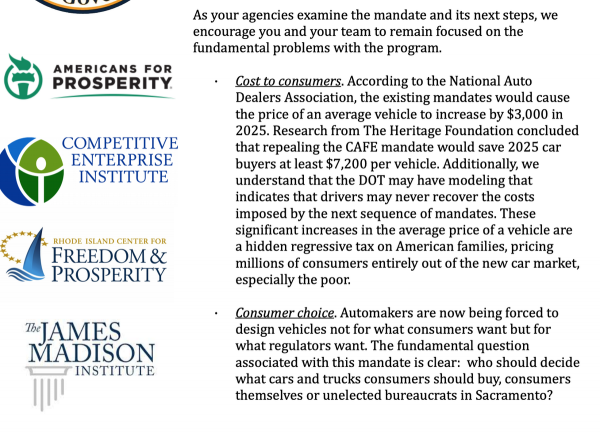 The letter was initially spearheaded by Texas Governor Abbott, whose office sent AFPM talking points on the rule. A close reading of the documents obtained paints a picture of AFPM playing an instrumental role in the organization and dissemination of this governor’s letter to others. AFPM has not responded to DeSmog’s questions about the provenance of the draft op-ed and if the group was actively working with the American Energy Alliance or others on this issue. So, it’s impossible to know whether the group was working in concert with AEA, or whether AFPM staff were simply lifting language from a fellow Koch-affiliated organization. Among other ties, AFPM has received funding from the Koch Industries PAC and has a past board member who worked for Koch Industries. One of the most dismaying things about this is how the e-mails reveal the casual, chummy relations between governors’ staff and fossil fuel lobbyists. Colin, Kari, Keith, Peter — everyone’s on a first name basis, no need for introductions. And the lobbyists don’t even seem to be from the governors’ home states. How much did they pay for such friendly access? How to break these connections or at least some of these connections?.One of the problems is that money is against so other incentives, and more pressing than some money, have to be found ASAP. Baseball bat to a select few heads would be a nice start. Just when one starts to feel that maybe our species might be on the point of turning the corner in the right direction, one smacks into another example of how a few of us, for their personal pleasure and gain, will sell out the rest of us and the biosphere. And so archly and artfully and increasingly overtly. Don’t hardly bother to hide their tracks and deeds, but then there’s such a flood of similar motions by other parasites and tumors that who can begin to keep it all straight? And no consequences for any of the “smart” and “connected” people who push this kind of stuff. bring them to heel and the orange fool too! Nobody should wonder why the Director of IEA was saying in Davos that EVs are not a menace for oil producers meanwhile in the US those unworried producers are lobbying to relax emission standards. Clearing the PR pollution is = weakening average fuel standards? These guys – the oil and fossil fuels industry – stop at nothing. Take a look at Oil, Power, and War: A Dark History by Matthieu Auzanneau. Their malevolence isn’t confined to the pollution of the political system and the environment. Oil, ‘the devil’s blood’, is usually at the root of most of the world’s politically inspired violence and mass murder.